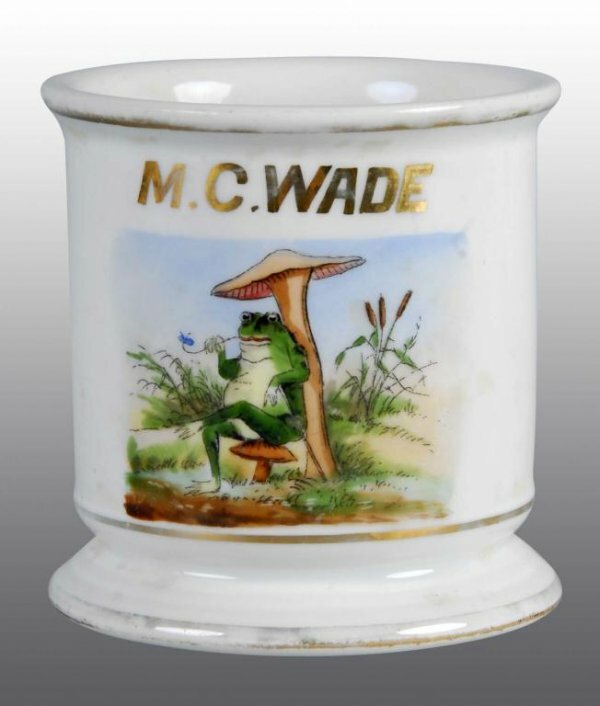 Polychrome paint image with nice depiction of frog seated under mushroom. Name M.C. Wade gilt across front. Size 4″ T.